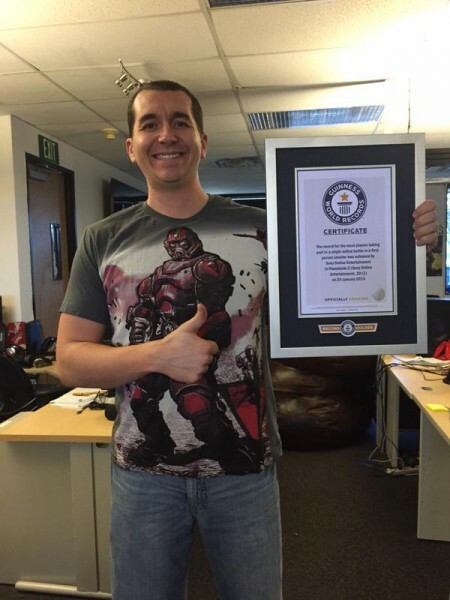 The Planetside 2 community has successfully organised an online battle involving over 1000 players, breaking the previous Guinness World Record. The previous 999 players record was held by browser-based shooter Man vs Machine. Planetside 2 producer David Carey accepted the certificate. Take a look. Planetside 2 is currently in closed beta testing on PlayStation 4.